On July 1, 1913, a group of automobile enthusiasts and industry officials established the Lincoln Highway Association (LHA) "to procure the establishment of a continuous improved highway from the Atlantic to the Pacific, open to lawful traffic of all description without toll charges." In its time, the Lincoln Highway would become the Nation's premier highway, as well known as U.S. 66 was to be in its day and as well known as I-80 and I-95 are today. The Lincoln Highway also played an important role in the evolution of highways leading up to the Dwight D. Eisenhower System of Interstate and Defense Highways. This role is illustrated by the LHA's twin goals. One goal was to build a "Coast-to-Coast Rock Highway" from Times Square in New York City to Lincoln Park in San Francisco. The second goal was to make the Lincoln Highway an object lesson that would, in the words of its creator, Carl G. Fisher, "stimulate as nothing else could the building of enduring highways everywhere that will not only be a credit to the American people but that will also mean much to American agriculture and American commerce." In 1912, the Nation's highways were just emerging from the "Dark Ages" of road building in the second half of the 19th Century. Railroads dominated interstate transportation of people and goods. Roads were primarily of local interest. Outside cities, "market roads" were maintained, for better or worse, by counties or townships. Many States were prohibited by their constitution from paying for "internal improvements," such as road projects. The Federal-aid highway program would not begin until 1916 and, because of structural problems and the advent of World War I in 1917, would not accomplish much until 1921. The country had approximately 2,199,600 miles of rural roads and only 190,476 miles (8.66 percent of the total) had improved surfaces of gravel, stone, sand-clay, brick, shells, oiled earth, bituminous or, as a U.S. Bureau of Public Roads (BPR) bulletin put it, "etc." Many people thought of interstate roads as "peacock alleys" intended for the enjoyment of wealthy travelers who had time to spend weeks riding around the country in their automobiles. Fisher saw the situation differently. He was an early automobile enthusiast who had been a racer, the manufacturer of Prest-O-Lite compressed carbide-gas headlights used on most early motorcars, and the builder of the Indianapolis Speedway. (In the 1920's he would be known as the promoter and builder of Miami Beach.) He believed that, "The automobile won't get anywhere until it has good roads to run on." He began actively promoting his dream, a transcontinental highway, in 1912. On September 10, he held a dinner meeting with many of his automobile industry friends in the Deutsches Haus in Indianapolis, his home town. He called for a coast-to-coast rock highway to be completed by May 1, 1915, in time for the Panama-Pacific International Exposition in San Francisco. The project would cost about $10 million, he said. "Let's build it," he told the group, "before we're too old to enjoy it!" Within a month, Fisher's auto industry friends had pledged $1 million. Henry Ford, the biggest automaker of his day, was a notable exception. He refused to contribute in spite of a personal plea by Fisher over a pigpen at the State Fair in Detroit. Ford believed the government, not private individuals or companies, should build the Nation's roads. By July 1913, Fisher and his associates had chosen a name for the road. After rejecting the "Fisher Highway," the "Jefferson Memorial Highway," and the "American Road," among other possibilities, the group named its highway after one of Fisher's heroes, Abraham Lincoln. Fisher adopted the name only after Congress rejected a proposal by another group to build a "Lincoln Memorial Road" from Washington to Gettysburg; instead, Congress authorized construction of the Lincoln Memorial on the Mall in Washington. Next, the group had to select a route. Having agreed on New York City and San Francisco as the termini, the LHA's founders wanted the shortest, best, and most direct route possible between the two points. Selecting the route for the eastern section was relatively easy. Roads east of the Mississippi River were generally in better shape than those in the thinly populated West. To select the best roads for the western section, Fisher and the LHA's "Trail-Blazer" tour set out from Indianapolis in 17 cars and 2 trucks on July 1, 1913, the same day the LHA was established at its headquarters in Detroit. The highly publicized trip to San Francisco took 34 days-34 days of mud pits in Iowa, sand drifts in Nevada and Utah, radiators boiling over, flooded roads, cracked axles, and enthusiastic greetings in every town that thought it had a chance of being on the new highway. After an triumphal auto parade down Market Street in San Francisco before thousands of cheering residents, the Trail-Blazers returned to Indianapolis-by train. The LHA announced the route on September 14, 1913. The announcement disappointed many of the town officials, particularly in Colorado and Kansas, who had greeted the Trail-Blazers and thought the passage of the LHA meant the route had been selected. 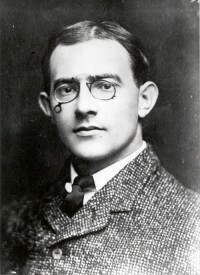 The LHA leaders, particularly Henry Joy, President of the Packard Motor Car Company, decided on as straight a route as possible and that decision dictated the course. That initial line was 3,389 miles long. Less than half of it, 1,598 miles, was improved. (Eventually, as segments of the route were improved, the length shrunk to about 3,140 miles). Some segments of the Lincoln Highway followed historic roads. In the East, the Lincoln Highway incorporated a road laid out by Dutch colonists of New Jersey before 1675. The route in Pennsylvania followed the 62-mile Philadelphia to Lancaster Pike, the first extensive turnpike in the United States (completed in 1796), and a British military trail built in 1758 by General John Forbes of England from Chambersburg to Pittsburgh during the French and Indian War. It was later known as the Pittsburgh Road and the Conestoga Road. A section in Ohio followed an ancient Indian trail known as the Ridge Road. In the West, the Lincoln Highway used sections of the Mormon Trail (the route along which Brigham Young led his Mormon followers to Utah), as well as the route of the Overland Stage Line and the Pony Express. Entering California, a motorist on the Lincoln Highway crossed the Sierra Nevada through Donner Pass, named after the Donner Party, which became stranded after attempting to cross through the pass too late in the winter of 1846-1847, or could follow an alternate route that was once a pioneer stage coach route. The LHA dedicated the route of the Lincoln Highway on October 31, 1913. Bonfires and fireworks marked ceremonies in hundreds of cities in the 13 States along the line. Concerts and parades took place. In at least two locations, the streets were swept and washed so dances could be held on the highway. During a dedication ceremony in Jefferson State, Iowa, State Engineer Thomas H. MacDonald summarized what many people felt. The enthusiasm for the Lincoln Highway would become, he said, "the first outlet for the road building energies of this community." It would lead to construction of connected radial routes and eventually to "great transcontinental highways . . . . That such a radial system of roads should be built is of very much more importance than that one great continuous road across the state shall be built." Five years later, in 1919, MacDonald became Commissioner of the BPR, a post he held until 1953, overseeing the early stages of the Interstate System. During the early years, a trip from the Atlantic to the Pacific on the Lincoln Highway was, according to the LHA's 1916 Official Road Guide, "something of a sporting proposition." The LHA estimated the trip would take 20 to 30 days, but that assumed the motorist could average a driving time of 18 miles an hour. At a time when a service infrastructure to support the automobile did not exist, the guide urged motorists to buy gasoline at every opportunity, no matter how little had been used since the last purchase. Motorists were advised to wade through water before fording it with their vehicle and to avoid drinking alkali water ("Serious cramps result"). Firearms weren't needed, but full camping equipment was, especially west of Omaha, Nebraska. The guide advised motorists to select camp sites early ("If you wait until dark you may be unable to find a spot free from rocks"). Equipment needed included chains, a shovel (medium size), axe, jacks, tire casings and inner tubes, a set of tools, and, of course, 1 pair of Lincoln Highway Penants. In view of the mud the motorist could expect to travel through, the guide offered one bit of practical advice without further comment: "Don't wear new shoes." If trouble is experienced, build a sagebrush fire. Mr. Thomas will come with a team. He can see you 20 miles off. Mr. Thomas and his sorrel team were bypassed in time for the guide's fourth edition, published in 1921. However, that guide advised motorists heading west to stop at Orr's Ranch before deciding which route to follow. "The Orr Brothers . . . can be relied upon" to know which was better. Motorists heading east from Nevada were to ask Mr. K. C. Davis of Gold Hill for advice. He, too, could be relied upon. The motorist could expect the trip to cost no more than $5 a day per person. That included everything (food, gas, oil), "even allowing for five or six meals in hotels." Car repairs caused by breakage or wear would, of course, increase the cost. In September 1912, Fisher had described his plan in a letter to a friend. He pointed out that "the highways of America are built chiefly of politics, whereas the proper material is crushed rock, or concrete." Actually, to a large extent, publicity and propaganda were the proper material for building the Lincoln Highway, as freely admitted in the LHA's 1935 official history, The Lincoln Highway: The Story of a Crusade That Made Transportation History. The leaders of the LHA were masters of what today would be called media events. According to LHA Secretary A. F. Bement, "Publicity in our lexicon . . . means keeping the name before the public and a never-ending pressure toward the great objective." The dedication ceremonies were a perfect example. Aside from sponsoring the October 31 ceremonies, the LHA asked clergy across the Nation to discuss Abraham Lincoln in their sermons on November 2, the Sunday nearest the dedication. The LHA then distributed copies of many of the sermons, such as one by Cardinal Gibbons, who said that "such a highway will be a most fitting and useful monument to the memory of Lincoln." The publicity had begun virtually from the start of the LHA. After the headquarters opened in Detroit, one of Fisher's first acts was to hire F. T. Grenell, city editor of the Detroit Free Press, as a part-time publicity man. The 1913 Trail-Blazer tour included representatives of the Hearst newspaper syndicate, the Indianapolis Star and News, the Chicago Tribune, and telegraph companies to transmit their dispatches. In those early days, each contribution from a famous supporter was publicized. Theodore Roosevelt and Thomas B. Edison, both friends of Fisher, sent checks. When President Woodrow Wilson, a dedicated motor enthusiast, contributed $5, he was assigned Highway Certificate #1. The LHA, which arranged the President's donation through a friendly Member of Congress, distributed copies of his certificate to the press. However, one of the best known contributions came from a small group of "Esquimaux" children in Anvik, Alaska. When their American teacher told them about Abraham Lincoln and the highway to be built in his honor, they took up a collection among themselves and sent it to the LHA with the note, "Fourteen pennies from Anvik Esquimaux children for the Lincoln Highway." The LHA distributed pictures of the coins and reproductions of the accompanying letter, both of which were widely reprinted. The LHA also sponsored short concrete "Seedling Mile" object lesson roads in many locations (the first, built in the fall of 1914, was just west of Malta, Illinois). The "Seedling Miles," according to the LHA's 1924 guide, were intended "to demonstrate the desirability of this permanent type of road construction" and "crystallize public sentiment" for "further construction of the same character." Generally, the LHA worked with the Portland Cement Association to arrange donations of cement for the seeding mileage. The Ideal Section was built during 1922 and 1923, with funds from the Federal-aid highway program, the State highway agency, and Lake County as well as a $130,000 contribution by the United States Rubber Company (company president C. B. Seger was one of the founders of the LHA). In magazines and newspapers, the Ideal Section was hailed as a vision of the future. Highway officials from around the country visited the Ideal Section, and they discussed it in papers read before technical societies in this country and abroad. Today, the Ideal Section is still in use. However, a motorist between Dyer and Schererville would not know he was on an historic section of highway unless he stopped to see the "Ideal Section" marker placed off the road. Still, the Ideal Section stands as an early attempt to envision the type of highway that would evolve into today's Interstate superhighways. Actually, one of the Lincoln Highway's greatest contributions to future highway development occurred in 1919, when the U.S. Army undertook its first transcontinental motor convoy. The highly publicized convoy, promoted by the LHA, was intended, in part, to dramatize the need for better main highways and continued Federal-aid. The convoy left the Ellipse south of the White House in Washington on July 7 and headed for Gettysburg, Pennsylvania. From there, it followed the Lincoln Highway to San Francisco. Bridges cracked and were rebuilt, vehicles became stuck in mud, and equipment broke, but the convoy was greeted warmly by communities across the country. The convoy reached San Francisco on September 5. The LHA considered the convoy a great success. Extensive publicity promoted the Lincoln Highway and good roads everywhere. According to the LHA's official history, the convoy led directly to favorable action on many county bond issues for highway building. However, the greatest result of the convoy was not realized until the 1950's. One participant in the convoy was a bored young Army officer, Lt. Colonel Dwight David Eisenhower. The convoy was memorable enough for him to include a chapter on the trip, "Through Darkest America With Truck and Tank," in At Ease: Stories I Tell to Friends (Doubleday and Company, Inc., 1967). "The trip had been difficult, tiring, and fun," he said. That experience plus his observations of the German auto-bahn network during World War II convinced him to support construction of the Interstate System when he became President. "The old convoy had started me thinking about good, two-lane highways, but Germany had made me see the wisdom of broader ribbons across the land." His "Grand Plan" for highways, announced in 1954, led to the 1956 legislative breakthrough that created the Highway Trust Fund to accelerate construction of the Interstate System. By the mid-1920's, the Nation was crisscrossed by a network of approximately 250 named trails. Some were major routes, such as the Jefferson Highway, the Lincoln Highway, the National Old Trails Road, the Old Spanish Trail, and the Yellowstone Trail, but most were shorter. They had become a confusing tangle, often on routes selected more because of the willingness of local groups to pay "dues" to a trail association than because of transportation value. Some of the trail organizations were fly-by-night groups that were more interested in "dues" than road. In 1925, Federal and State officials established the Joint Board on Interstate Highways, which created the U.S. numbered system to replace the old trail designations. A reminiscence written in 1967 by the Secretary of the Joint Board, BPR official E. W. James, pointed out the dominance of the Lincoln Highway at the time. After the U.S. numbering pattern was conceived, James took several steps that he hoped "would take the whole job off the slate at once." One of them was to go to Detroit to lay the scheme before the LHA. Although he told them, frankly, the new system would mean the end of the Lincoln Highway, "they were for a big plan for roads across the U.S.; would be with my scheme if I would give the Lincoln Highway recognition as far as possible in the No. 30." James agreed and, therefore, had the LHA's support for the numbering plan. "They were the strongest of all the Associations and with them with us, who could be against us?" The LHA favored using names and numbers, but by the mid-1920's the time when private organizations were needed to promote specific routes had passed. The Lincoln Highway Association would have liked to have seen the Lincoln Highway designated as a United States route entirely across the continent and designated by a single numeral throughout its length. But it realized that this was only a sentimental consideration . . . . The Lincoln Way is too firmly established upon the map of the United States and in the minds and hearts of the people as a great, useful and everlasting memorial to Abraham Lincoln to warrant any skepticism as to the attitude of those States crossed by the route. Those universally familiar red, white and blue markers, in many states the first to be erected on any thru route, will never lose their significance or their place on America's first transcontinental road. The States approved the U.S. numbering system in November 1926 and began putting up the newly approved signs. As with the other transcontinental and major named trails, the Lincoln Highway was divided among several numbers. In line with James' agreement with the LHA, the Lincoln Highway became, for the most part, U.S. 30 between Philadelphia and Granger, Wyoming. East of Philadelphia, the Lincoln Highway was part of U.S. 1. West of Salt Lake City, the Lincoln Highway followed U.S. 40 across Donner Pass (the alternate became U.S. 50 when that route was extended to California). Originally Route No. 30 stopped at Salt Lake where it converged with 40, which continued to the Pacific Coast. This convergence was made at the desire of Wyoming more particularly and created a condition which made it desirable to carry the route numbered 20 through Yellowstone Park down to Pocatello and thence west to Portland. A study of the geography of the Sierra Range will indicate to you that there was no other adequate method of developing the gateway at Ontario, Oregon. This detail of the Joint Board report was not satisfactory to the northwestern States, more particularly Oregon and Idaho, and when the situation was realized by Wyoming that State also was dissatisfied with the adjustments made, consequently the four State involved, namely, Oregon, Idaho, Wyoming and Utah had a conference and agreed that the Ontario gateway should be developed by the only direct and logical route, for that purpose, namely, the route through southern Wyoming. This route as far as Granger was No. 30 from the Atlantic Seaboard, and in the readjustment this number 30 was carried on to Portland, number 20 being terminated at the Yellowstone Park. In 1928, the LHA ended its active promotion, but not before one last publicity stunt. The Lincoln Highway was officially marked and dedicated to the memory of Abraham Lincoln on September 1, 1928. On that day, at 1:00 p.m., groups of Boy Scouts placed approximately 3,000 concrete markers at sites along the route. They were placed on the outer edge of the right-of-way at each important crossroad, at minor crossings, and at other intervals to assure each motorist that he was on the right road. The signs carried the Lincoln Highway insignia, a bronze medallion ("This Highway Dedicated to Abraham Lincoln") and a directional arrow. A paved road across any state was a high ambition when the Lincoln Highway was planned as a paved road across a continent. It promised to create new ties to strengthen the nation's unity. The very thought was stupendous! An article in the Portland Cement Association's magazine credited the LHA "with pushing back the horizons of highway thinking." The Lincoln Highway Association has accomplished its primary purpose, that of providing an object lesson to show the possibility in highway transportation and the importance of a unified, safe, and economical system of roads . . . . Now I believe the country is at the beginning of another new era in highway building (that will) create a system of roads far beyond the dreams of the Lincoln Highway founders. I hope this anniversary observance makes millions of people realize how vital roads are to our national welfare, to economic programs, and to our national defense . . . .
Fisher was right. On June 8, President Franklin D. Roosevelt had signed the Federal-Aid Highway Act of 1938, which called for a report on the feasibility of a system of transcontinental toll roads. That BPR study, Toll Roads and Free Roads, was the first official step toward creation of the Interstate System. In 1939, Fisher died. He had lost most of his fortune, a victim of the collapse of the Florida real estate boom in 1926, a disastrous hurricane that devastated Miami Beach in September of that same year, and the Wall Street Crash in 1929. The Crash forced him to abandon his last big project, a resort hotel in Montauk, New York. Some segments of U.S. 30 still carry the name, as in Pennsylvania. Roads in some cities, such as Ames, Iowa, are still known as "Lincoln Way." A few of the 3,000 Boy Scout markers can still be found along the old route. Near Elkhorn, Nebraska, a stretch of Lincoln Highway paved with brick has been preserved by a local historical group. A bridge with railings spelling out "LINCOLN HIGHWAY" remained in use as part of Route E-66 in Tama County, Iowa. Restaurants, motels, and gas stations in many locations still carry a Lincoln-related name. In Wamsutter, Wyoming, on the Continental Divide along old U.S. 30, a monument was erected in 1938 to Henry B. Joy, President of the LHA during its early years. The inscription describes Joy as one "who saw realized the dream of a continuous improved highway from the Atlantic to the Pacific." Not far from the memorial, a motorist could see an abandoned stretch of the Lincoln Highway, weeds growing through the cracks in the pavement, along its modern reincarnation, I-80. In April 1988, the University of Iowa Press published The Lincoln Highway, a text-and-photo essay by Drake Hokanson. Hokanson had been intrigued by the mystery of this once-famous highway. In an August 1985 article in Smithsonian, he tried to explain the fascination with the route. If it was restlessness and the desire for a better way to get across the continent that brought the Lincoln Highway into existence, it was curiosity that kept it alive--the notion that the point of traveling was not just to cover the distance but to savor the texture of life along the way. Maybe we've lost that, but the opportunity to rediscover it is still out there waiting for us anytime we feel like turning off an exit ramp. Our present-day association has the responsibility to protect the heritage left to us by those courageous transportation pioneers of nearly ninety years ago. Today our mission is to identify, preserve, and improve access to the remaining portions of the Lincoln Highway and its associated historic sites. The new LHA publishes an excellent quarterly magazine, The Lincoln Highway Forum, and holds conventions in a Lincoln Highway city each year. In its heyday, the Lincoln Highway was the Nation's premier highway. If it never quite measured up to the dreams of its founders, if it was never quite finished, nevertheless it was a marvel in itself and an object lesson that helped spur highway development around the country. That success, combined with the efforts of other Good Roads advocates and government officials such as the BPR's MacDonald, helped bring an end to the Lincoln Highway. But that success also helped the country achieve the LHA's goal of enduring highways everywhere. The Lincoln Highway Forum. This high-quality magazine, which is distributed to members by the new Lincoln Highway Association, contains detailed articles, LHA news, reviews, and other material. For information on the new LHA, consult its web site at: http://www.lincolnhighwayassoc.org/. Another source: http://www.ugcs.caltech.edu/~jlin/lincoln/.